Hi! I´m a private ESL teacher. I appreciate interpersonal collaboration, mutual consultation and sharing ideas about creative teaching methods! 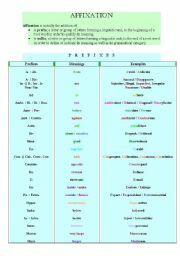 A very necessary and almost exhaustive list of affixes(i. e. prefixes & suffixes) with meanings and examples for advanced students.. The first printable contribution- ever about affixation on this site..! 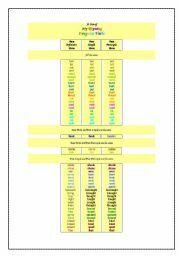 A very useful list of rhyming irregular verbs for easy memorizing..! 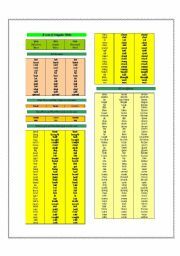 Here is a well organised list of the most current English irregular verbs--as far as intermediate level is concerned-- arranged in alphabetical order..